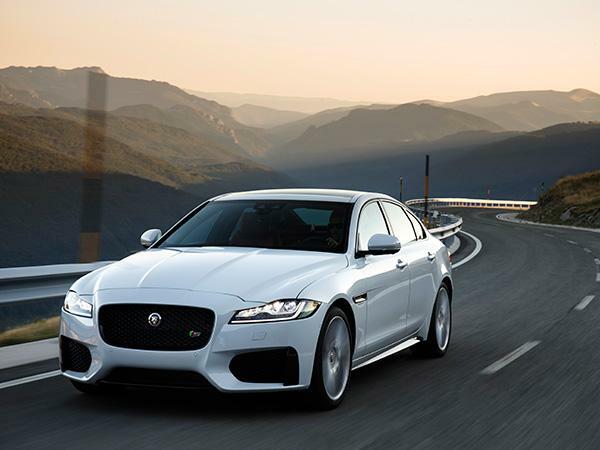 2016 was a good year for Jaguar. It broke a 12-year record, selling 34,728 vehicles in the UK alone. 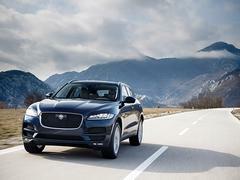 That fell to three models with the XE and F-Pace making up 62 per cent of UK sales and the XF selling almost 10,000 units. 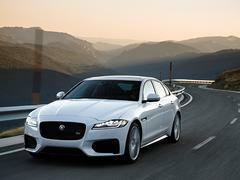 Jaguar has released updates across all three in an aim to keep those sales rolling in. Ingenium engines have been added to the model ranges, the integrated exhaust manifold and cylinder head casting reducing warm-up times to hit those emissions and efficiency numbers. 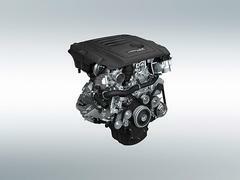 Two 2.0L four-cylinder petrol engines with 200hp (for XE and XF in RWD only) and 250hp wearing a 20t and 25t badges as well as a 240hp Ingenium diesel engine wearing a 25d badge are available in RWD or AWD guises across all three models. The 240hp diesel engine uses a twin-turbo configuration with torque up to 368lb ft. An e-Performance diesel with 163hp and CO2 emissions as low as 126g/km is available in the Jaguar F-Pace whilst the XE S fitted with the F-Type's 3.0L V6 is up from 340hp to 380hp. 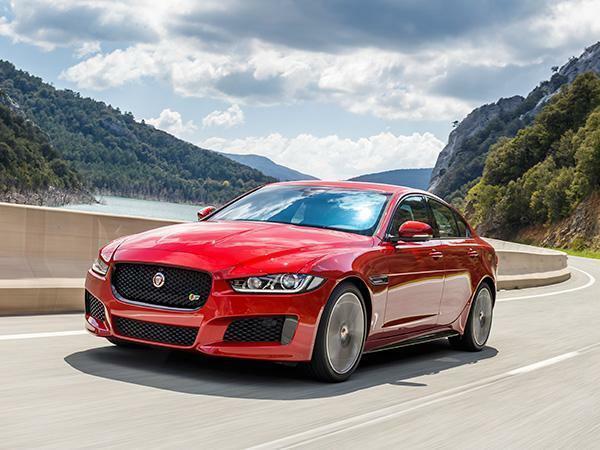 The additions aren't solely under the bonnet, the XE and XF models now available with a gesture boot lid function by waving a foot under the bumper, Configurable Dynamics and Adaptive Dynamics. This allows drivers to personalise Dynamic mode by picking favoured settings for engine, gearbox, steering and adaptive suspension settings when the latter has been optioned much like that in the Jaguar F-Type. Land Rover's dual view technology has been adapted for the Jaguar trio, allowing the passenger to watch TV whilst the driver follows navigation instructions on the same screen and the XE is offered with an optional 12.3-inch TFT instrumental cluster. To get you sitting comfortably, the F-Pace and XF are now offered with powered height adjustment with manual side wing supports. Safety features as part of the surround camera system assisting drivers when 'forward visibility is restricted' whilst the Forward Vehicle Guidance could be useful avoiding those car park dings by providing a visual representation of the vehicle overlaid with wheel projections. Meanwhile a new Shell app will allow drivers in all three models to select the amount of fuel needed and pay via PayPal or Apple Pay directly from the infotainment system so no need for small talk with the cashier. Unless you're really lonely. The three MY18 models are available now with prices starting at £34,730 for the F-Pace, £32,490 for the XF and £28,295 for the XE. Took the fpace special out for a test. Stunning looking suv but given it was supposed to be top spec, the build of the interior let it down somewhat. Engine was superb. The actual reason not to buy was down to a lack of a logical place to rest the right arm. Sounds silly but when on long drives its important. Even with the updates mentioned, not sure its enough. what's the word on the XE estate? Yesterday I saw a test rig on the road in camo. 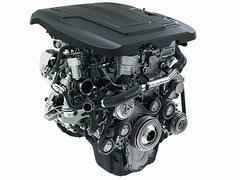 "Two 2.0L four-cylinder petrol engines with 200hp and 250hp wearing a 20t and 25t badges as well as a 240hp Ingenium diesel engine wearing a 25d badge are available in RWD or AWD guises across all three models." There is an XF Estate coming, I don't think an XE version is planned. My wife has had an XE R Sport for the last 18 months. What an utter pile of crap the car is. It has more squeaks and rattles than our 20 year old Mitsubishi L200 and has been back to Jaguar a total of 11 times for various bits to try and be fixed, only to fail again.